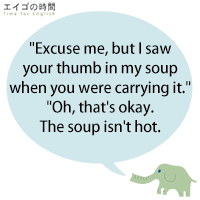 Excuse me, but I saw your thumb in my soup when you were carrying it. Oh, that’s okay. The soup isn’t hot.